Meet the Contemporary Jewellery World’s Next Generation! 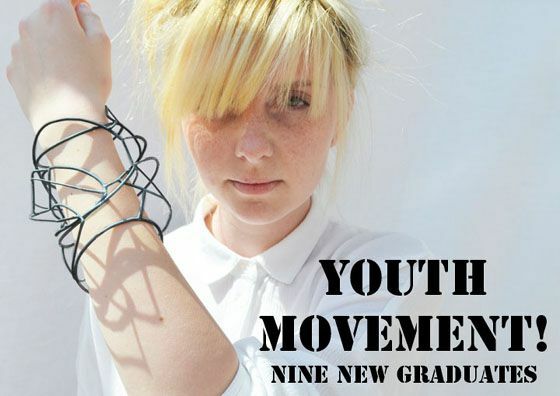 MANY OF THE GRADUATES WILL BE PRESENT AND DELIGHTED TO TALK TO YOU ABOUT THEIR WORK. Beth Spowart, Duncan of Jordanstone College of Art and Design, Dundee; Jaki Coffey, National College of Art and Design, Dublin; Karen Elizabeth Donovan, Edinburgh College of Art; Rebecca E Smith, Duncan of Jordanstone College of Art and Design, Dundee; Natalie Lee, Birmingham School of Jewellery; Prudence Horrocks, Edinburgh College of Art; Lindsay Hill, Glasgow School of Art; Georgia Rose West, Colchester School of Art and Design, University of Essex; Rosie Deegan, Nottingham Trent University. 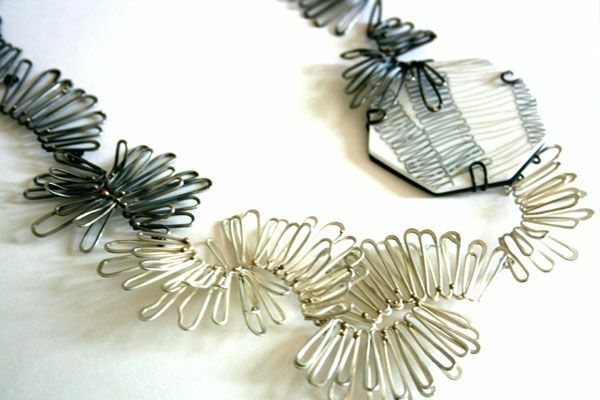 Karen Elizabeth Donovan – ‘Overgrown’ – neckpiece in titanium, niobium & precious white metal - Edinburgh College of Art. 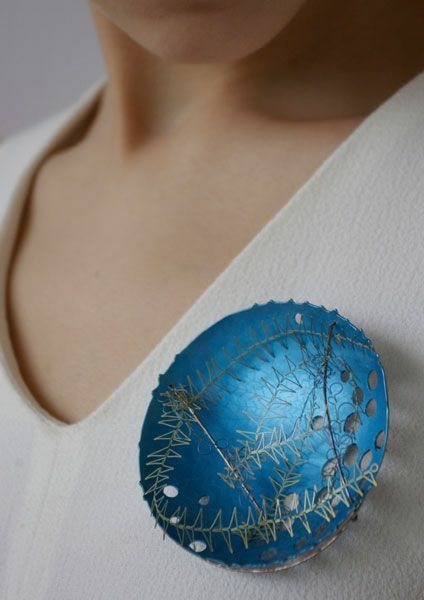 Karen Elizabeth Donovan, Edinburgh College of Art; ‘Highland Clan Badges: Murray’ in titanium and steel, modelled Lindsay Hill – ‘Flawless’ – ring in oxidised silver with kinetic cubic zirconia – Glasgow School of Art. 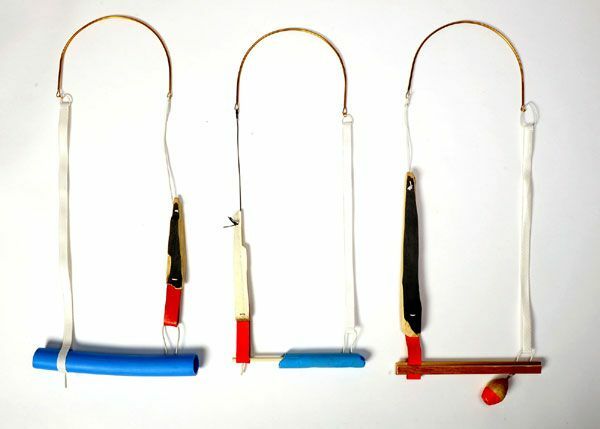 Lindsay Hill, Glasgow School of Art – ‘Three Stone’ – brooch in oxidised silver with kinetic cubic zirconia Jaki Coffey – ‘Lust in Found – Skip’ forced perspective skip brooch – powder coated steel and copper, magnets & found objects – National College of Art and Design, Dublin. 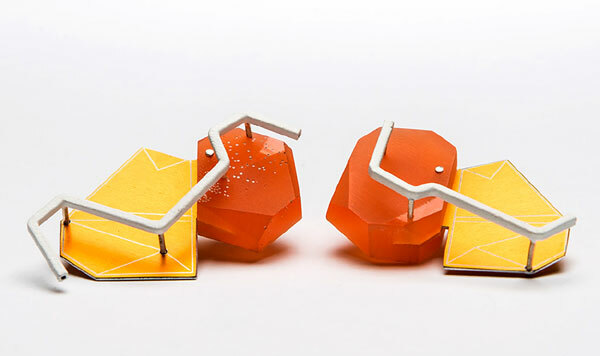 Kath Libbert Jewellery Gallery is delighted to introduce Nine New Graduates buzzing on our radar this year. Technology meets art meets jewellery in this amazing collection that includes Smart Materials colour changing jewellery; Fill Your Own bright yellow Skip Brooches; kinetic gemstone rings; tough titanium Highland Clan Thistle Brooches; Wired Wearables – dramatic neckpieces and bangles drawn in steel – just a few of the visual treats created by this year’s New Wave! 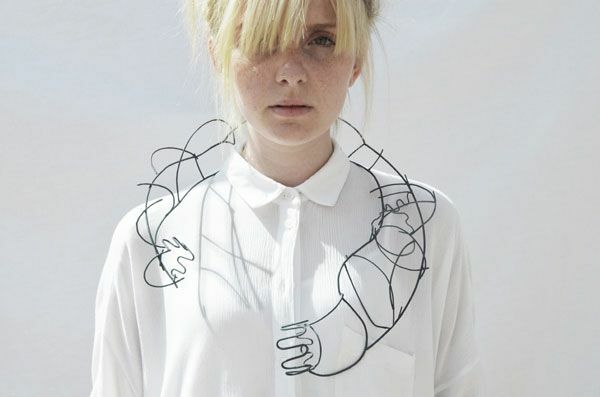 Beth Spowart, Duncan of Jordanstone College of Art and Design, Dundee – 1st Class Honours, uses Smart Materials to create innovative jewellery which interacts uniquely with each individual wearer by changing colours through the stimulus of their body heat – an exciting experience for the wearer and definitely a conversation opener! 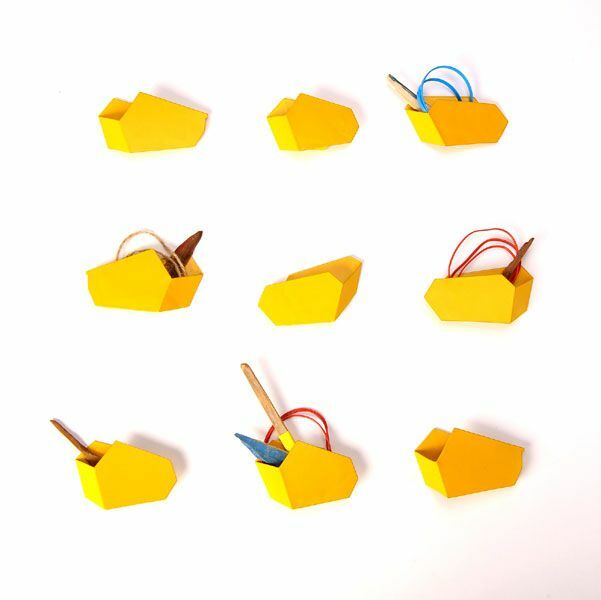 Jaki Coffey, National College of Art and Design, Dublin – 1st Class Honours, loves searching out treasure in skips and uses this as her inspiration for a series of funky bright yellow impeccably made powder coated copper Skip Brooches – the wearer then chooses what to fill up their Skip with from a selection of colourful ‘rubbish’ – becoming the curator of their own jewellery and making a provocative poke at our notions of preciousness! 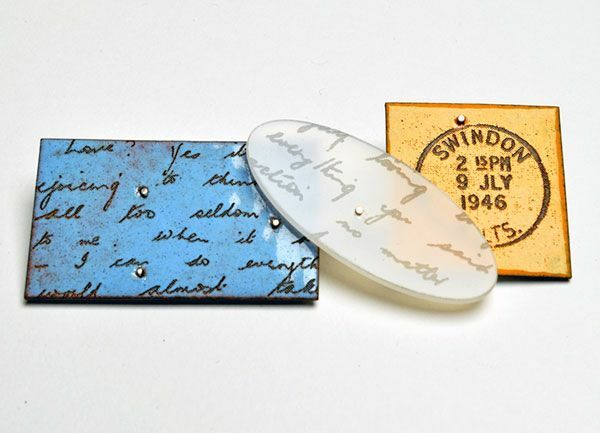 Rebecca E Smith, Duncan of Jordanstone College of Art and Design, Dundee – 1st Class Honours, discovered 300 wonderful love letters sent between her grandparents during World War ll and wanted as a testament to both this love story and to the power of letter writing, now a lost art, to create sentimental one off brooches, earrings and necklaces capturing the original handwriting, old photographs and vintage colours in a subtle palette of enamels. On an interactive note, Rebecca invites visitors to this exhibition to let her create jewellery capturing their own personal artefacts. 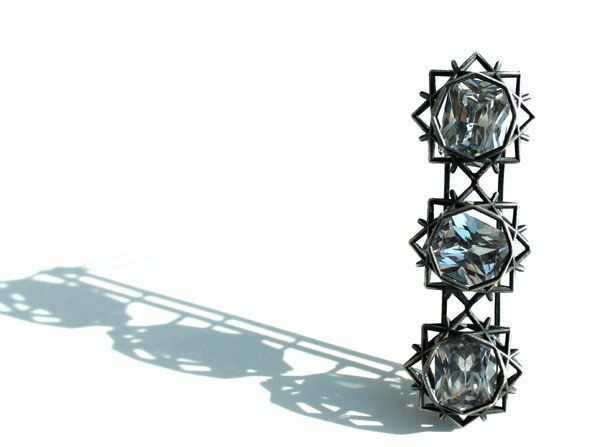 Lindsay Hill, Glasgow School of Art, BA Honours, employs advanced digital technologies to set stones kinetically in her striking rings whose bold symmetrical lines are also inspired by the facets on the gemstones they house. Both supremely elegant and great fun – the glinting gem tilts backwards and forwards as you move! 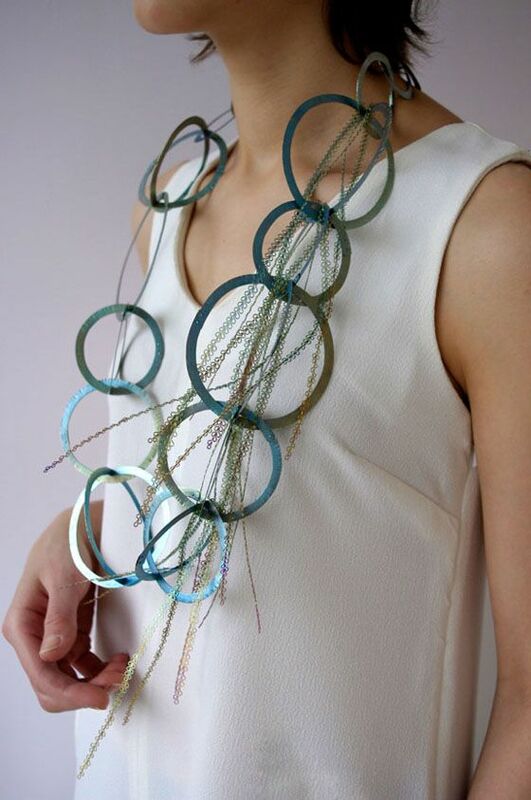 Natalie Lee, Birmingham School of Jewellery, 1st Class Honours, crafts Wired Wearables a collection of dramatic arm and neckpieces. An extension of her drawings, the fluid lines in steel are skilfully manipulated using a PUK welder and then enamelled in deep greys with highlights of powder blue and mauve. The continuous play of light and shadow the pieces cast when worn “symbolise the transit of time, a progression representing both the past and the future.” she says. 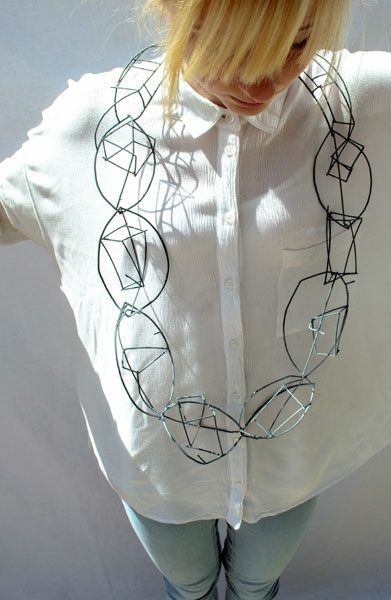 Prudence Horrocks, Edinburgh College of Art, MA, inspired by the drawn line and a desire to replicate the patterns that are possible in pen and ink into jewellery, has crafted a beautiful series of rings, brooches and necklaces. 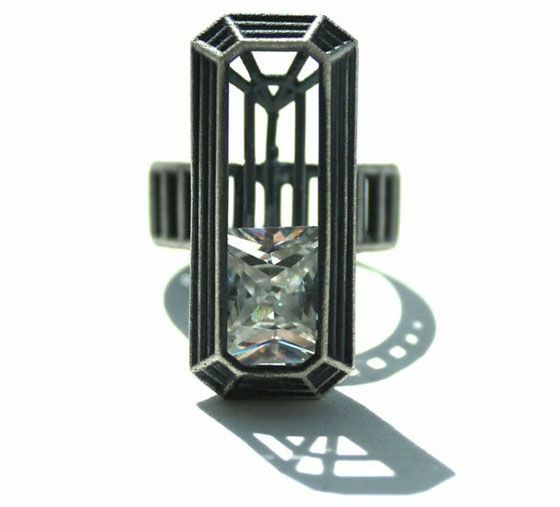 In a classic palette of matt white and black acrylic she has embedded fine lines of silver and gold, creating a sophisticated elegant and supremely wearable collection. Georgia Rose West, Colchester School of Art and Design, University of Essex, BA Honours – creates delightful small copper bowls, forming the metal into fluid shapes embellished with a great variety of creamy enamel patterning, each one having its own personality. 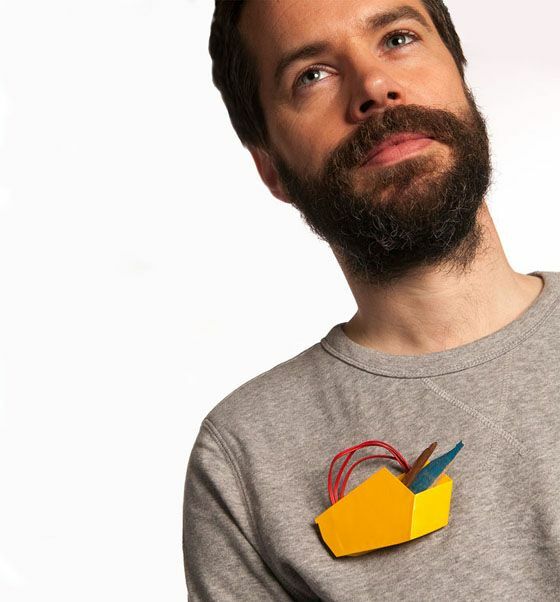 Rosie Deegan, Nottingham Trent University, 1st Class Honours – a mixed media, glass and metalwork artist, presents a quirky humorous body of work For a Man of Substance. The ironic title refers to her collection of Impotent Tools – made from glass and precious metals, they are exquisitely handcrafted but practically pointless! 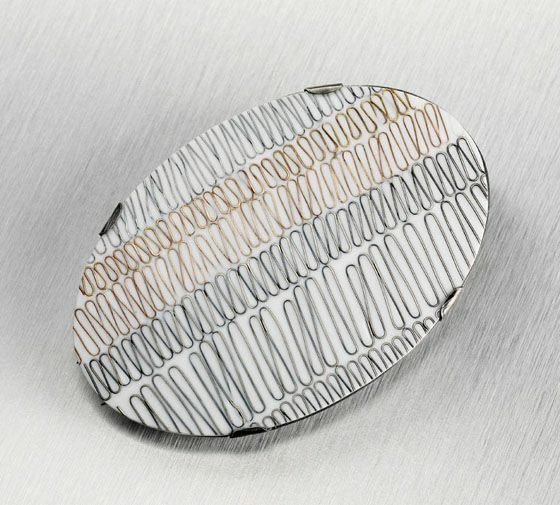 Prudence Horrocks – Large Oval Brooch in oxidised silver and 9ct rose gold set into acrylic – Edinburgh College of Art. 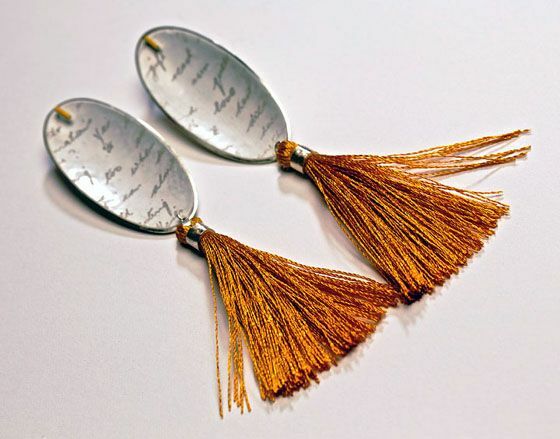 Prudence Horrocks, Edinburgh College of Art; – Necklace in silver and 9ct gold set into acrylic Rebecca E Smith – ‘Darling Margaret’ – earrings in enamelled copper with handwriting and tassels – Duncan of Jordanstone College of Art and Design, Dundee.